So I have started relieving as a kindergarten teacher for an agency this week and went to some interesting day cares and government kindergartens. I had forgotten about the feeling you get everyday of sand in the shoes……socks……toes…….. floor……..fingernails….. hair…..bra…undies. Seriously everywhere but yesterday I realized I had forgotten this feeling and It made me feel like I was having a good day and I really enjoyed being back in a FABULOUS centre after not working for so long! Anyway my point was SAND. 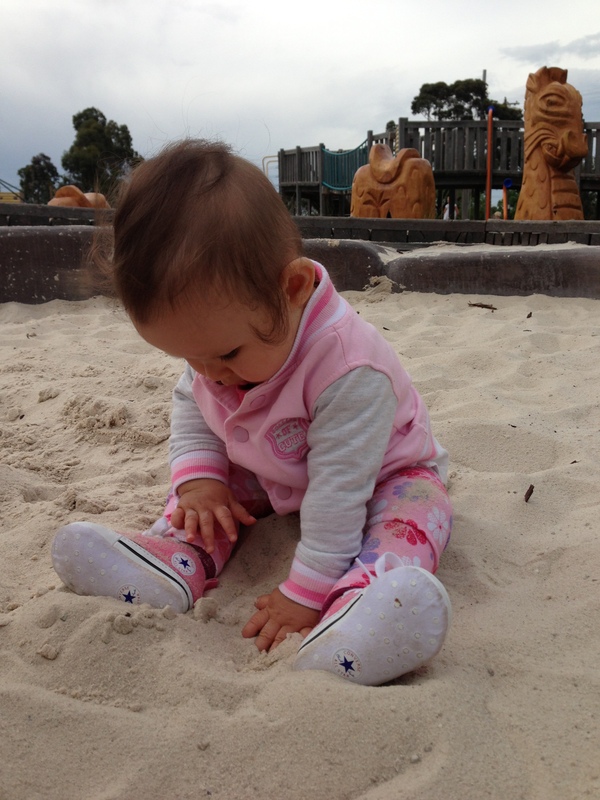 Sand Play can be enjoyed from an early age. Kaiah is 8 months and starting to enjoys the fabulous natural resource. These photos were taken down the road at the revamped park. It’s got a digger in it too, so cool. And remember the beach is freeeeee and hopefully just down the road from where you live. Exploring textures Being introduced to a new texture that she runs through her fingers. This feeling can be therapeutic and help children regulate their moods while building their emotional development. 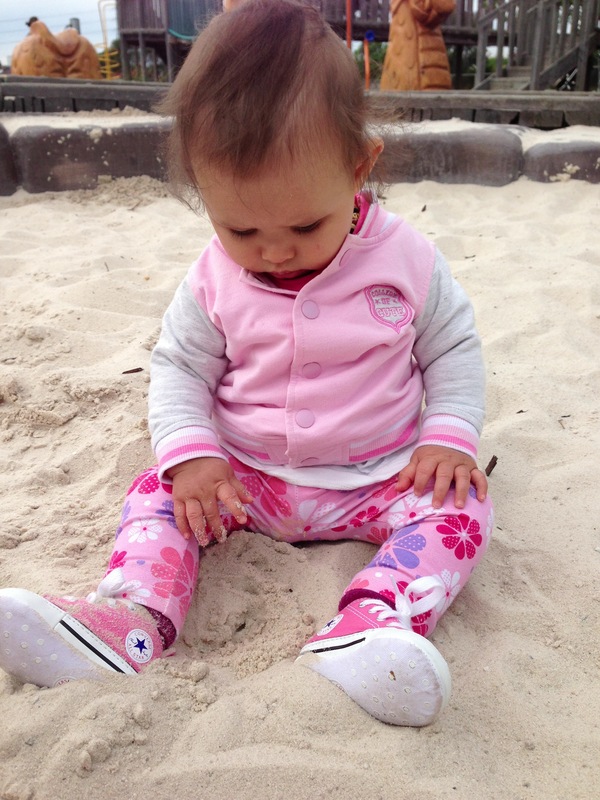 Developing large motor control – Notice how she is using her whole body to stay sitting up and lean over to touch the sand. 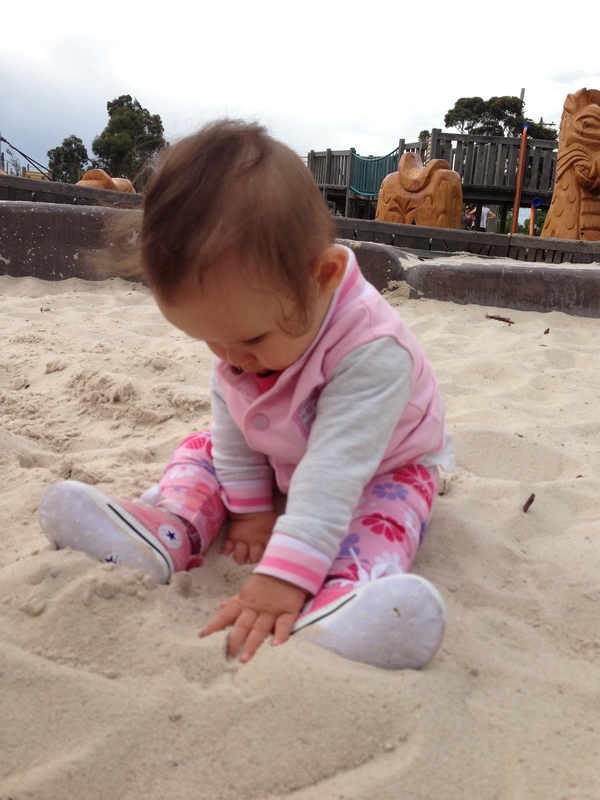 Developing fine motor control – They way she is picking up the sands and letting it run through her fingers, hand movements. 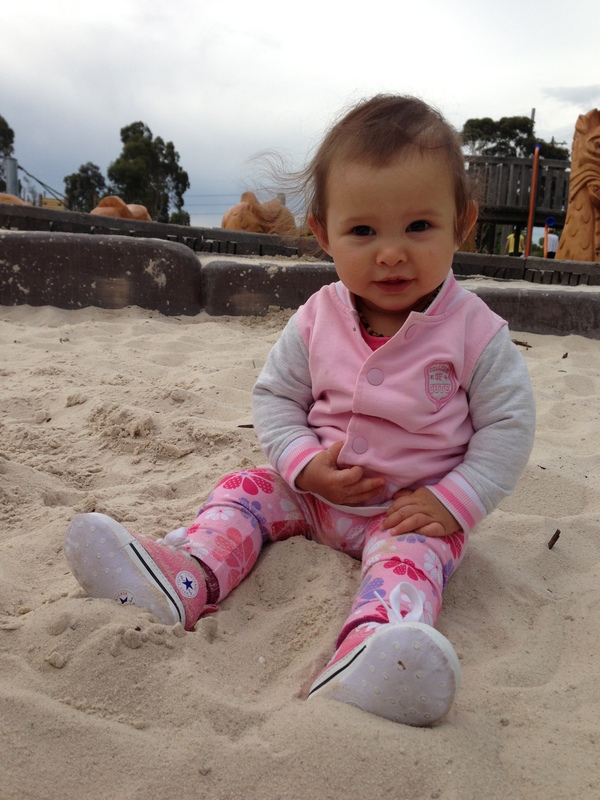 Building a relationship -While talking and singing to her she is building her language and emotional development. 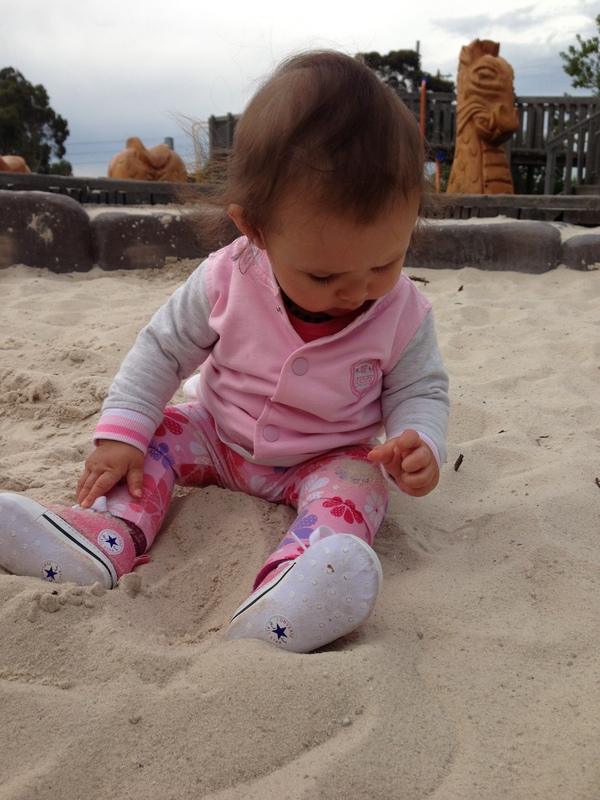 When older children explore with SAND they can learn so much more! Develop social skills – building and using language, negotiating with others, sharing space, problem solving, sharing and turn taking, co-operation and leadership skills. Learning about SCIENCE concepts- Building a volcano to watch chemical reactions, hypothesis, cause and effect, mixing ingredients, sand and water, this helps them build an understanding of the wider world. 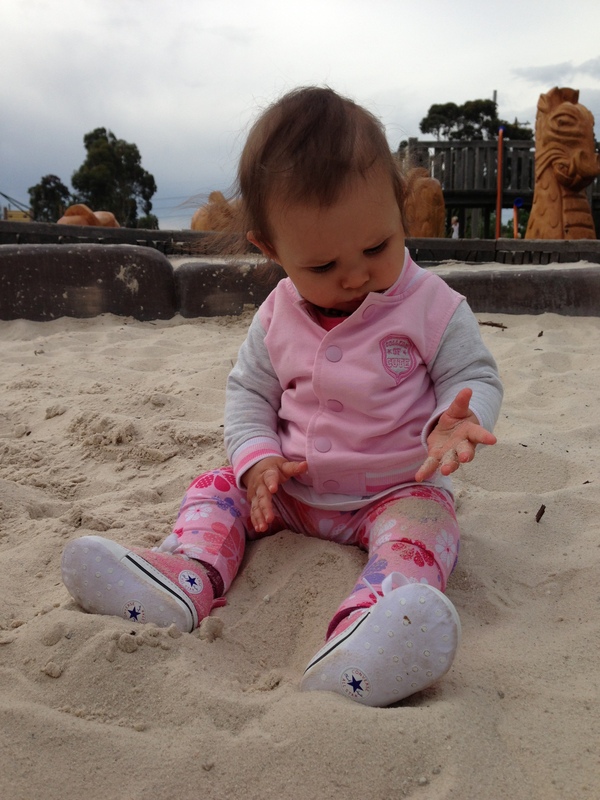 Just remind them to keep the sand in the sandpit, otherwise they will transport to all sorts of places! 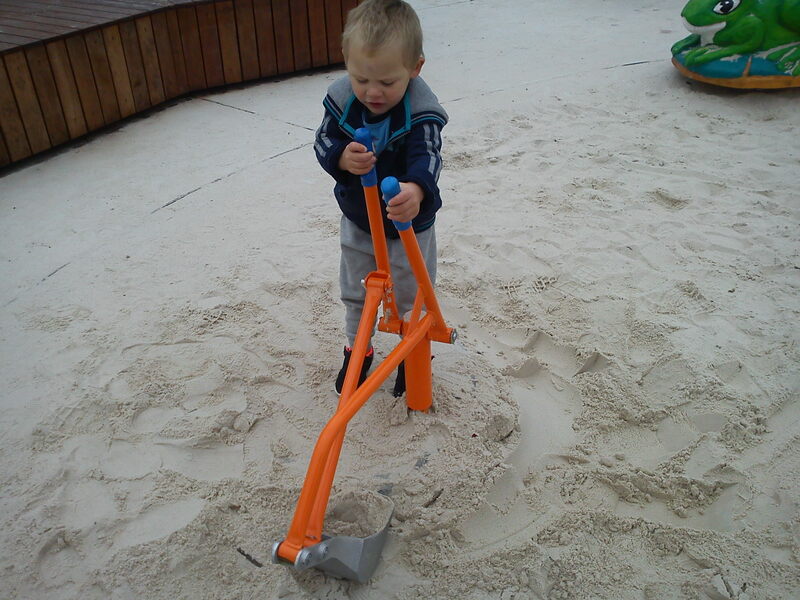 Here are some great sandpits you could try and recreate in the home or why not just go to the beach?! Just love this sand study…..fabulous and we take a lot of this for granted…..sand certainly is a great tool for learning! Wow this is great! Wish I knew about this blog earlier makes you think alot deeper into the simple things that make your childs brain tick! Next Next post: Bugs and stuff….